The Toolooa Indigenous Group Robotics (TIGeR) team is set to join the upcoming robotics competition in Rockhampton, Queensland in August this year. The automation and robotics workshop will be led by Domabotics technology education expert Damien Kee in the lead up to the competition. The students, guided by Kee, took the Indigenous culture and melded it with programmed robots to replicate traditional dance steps performed by former students from the school. 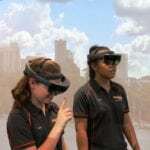 The workshop is part of the school’s Queensland Minerals and Energy Academy (QMEA) Robotics Futures Program, supported by Shell’s Queensland Gas Company (QGC) business. It will be the first time students from the Toolooa State High School (SHS) in Gladstone join the competition. “Our Investment in programs such as this supports local and Indigenous young people to grow into meaningful jobs in the future,” Shell QGC national social performance manager Simon Nish said. “The good news for these students is that last year, Indigenous employment grew by 11 per cent in Queensland’s resources sector and we hope to see many of these students come and work for us in trade and professional fields. Along with Toolooa SHS students, Kee also worked with Clinton, Tannum Sands and Gladstone Central state schools, upskilling both teachers and students. Manager of Toolooa SHS’s Indigenous unit Brad Eggmolesse said his students learnt more in the one-hour workshop than most people do in five. “It was fantastic to watch. All of the students are keen to continue the robotics work and aim for a great showing at the robotics competition,” Eggmolesse said. 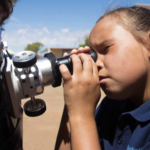 The QMEA is a partnership between the Queensland Resources Council (QRC) and the Queensland State Government under its Gateway to Industry Schools program. It includes 60 schools throughout Queensland.